HomeThe Hot Ducunu With a Hot Jingle! 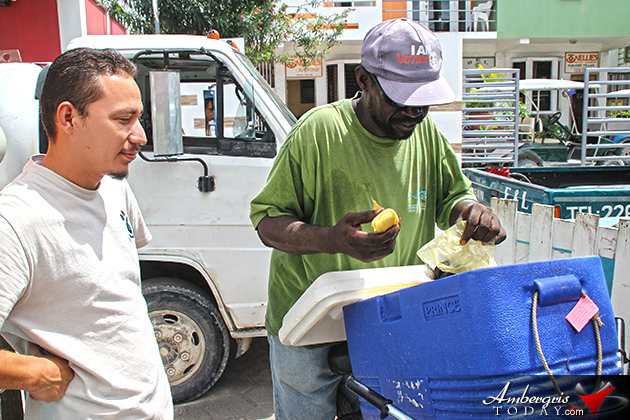 Most street vendors have a horn or bell announcing their way down the streets of town so that one can rush to buy their delicious treats, but this particular island character has quite an interesting jingle that gets stuck in your head. Mark Anthony Fitzgibbon, most commonly known as “Soft and Tender”, sings his jingle down the street with much enthusiasm and delight. 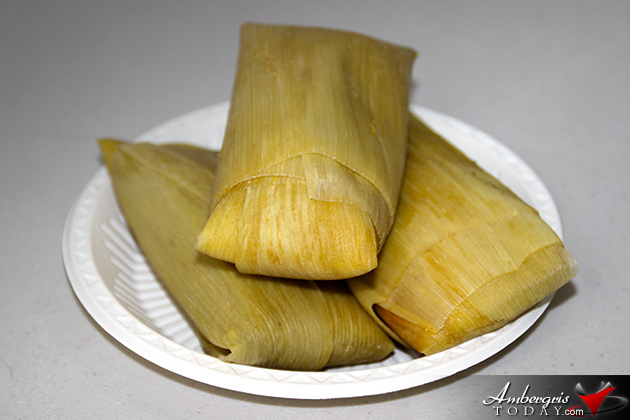 From the smallest child to the oldest adult, everyone knows the jingle “Hot Du Cu Nu – Hot Tamalitos”! For those of you who don’t know what a Ducunu is, let me explain! 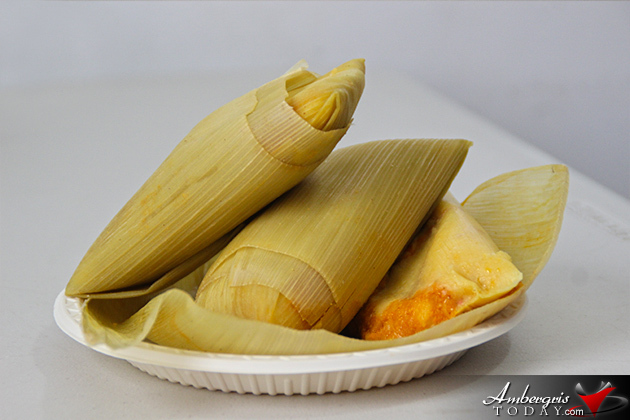 This is a tamalito made of corn and is rich in flavor. 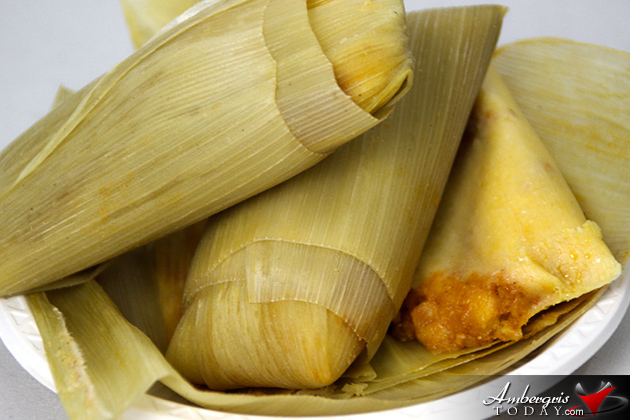 Ingredients include fresh onion, coconut milk (or evaporated milk), butter or vegetable oil and salt. 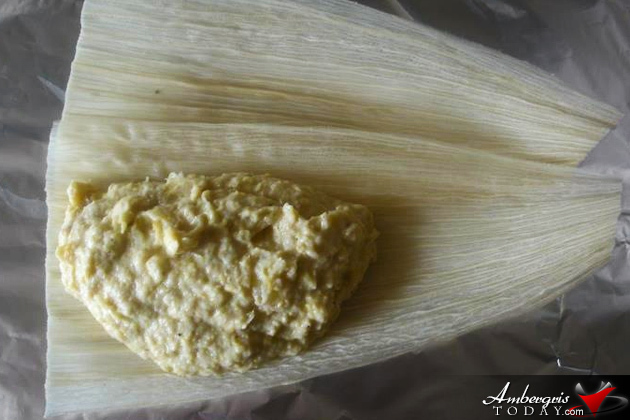 The corn is husked and the greener leaves are used to wrap the tamal. 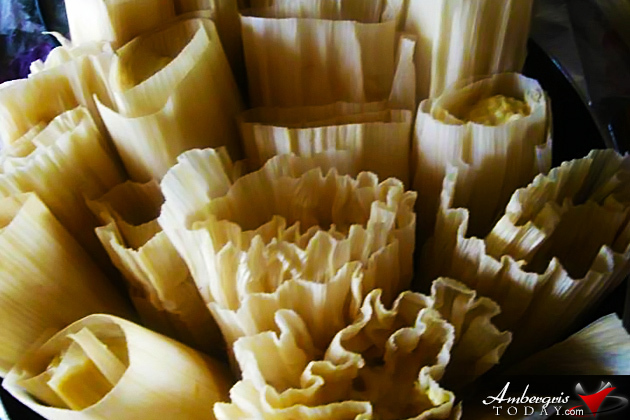 All the ingredients are blended together and placed on the green leaves and placed upright on a pot and but to boil. The dish is usually eaten as is or accompanied with delicious stew chicken. So now that you know what a ducunu is, you must try out “Soft and Tender’s” hot ducunu. They are delicious! 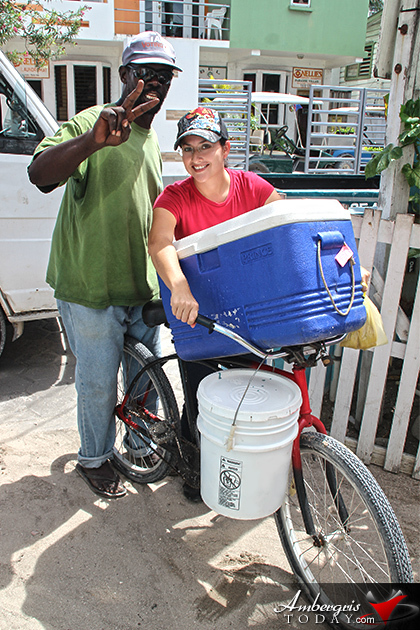 And you can’t miss Mark; he walks his bicycle with a cooler-full of his delicious and hot ducunu, singing his contagious jingle. (Play the video to listen Mark’s jingle). 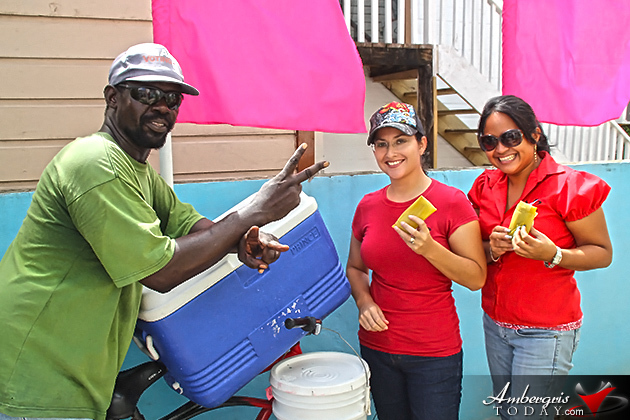 He is originally from Belize City and his girlfriend is from El Salvador; she is the one who prepares the mouth-watering ducunu tamalitos. 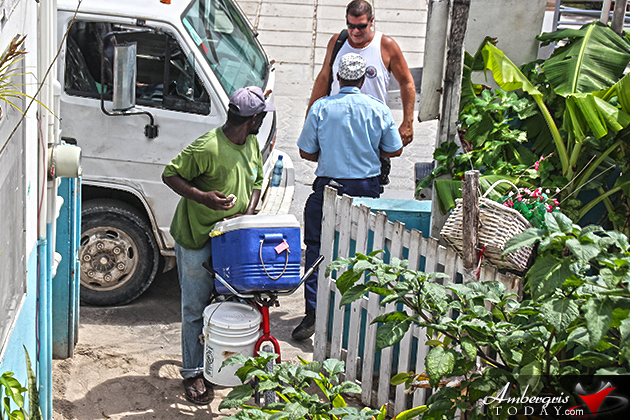 Soft and Tender has gotten so popular that he even heads out to our neighboring island of Caye Caulker to sell his delicious treats! "Dorian’s Angels" loved them and you should try them too! For orders call 666-2182. You won’t be disappointed for they are deliciously Great!